Remarkable brick front town home nestled on a private cul-de-sac in a prime Pike Creek location! Welcome to this rarely available 3 bedroom maintenance free end unit in desirable Weatherhill Farms. 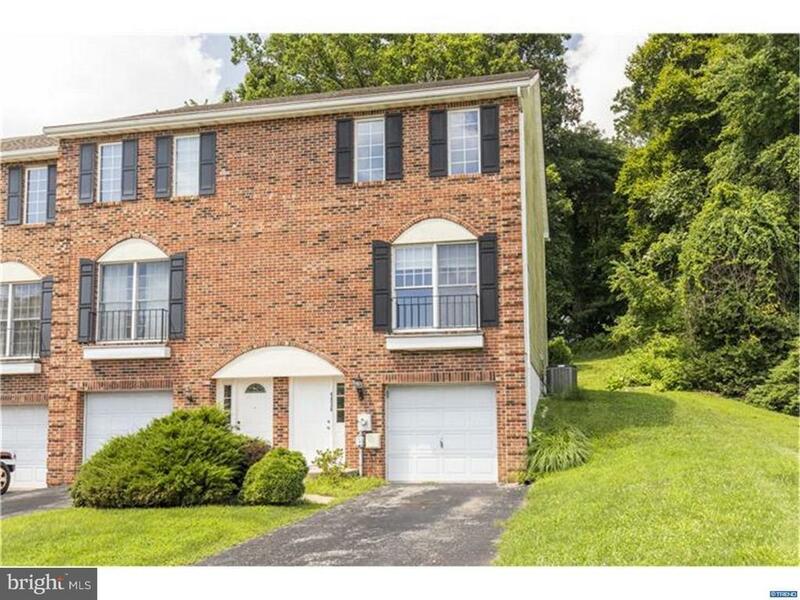 This home will not disappoint with its bright neutral d~cor, crown molding, thick baseboards and one car garage. Upon entering you will be greeted by a foyer with an open staircase and a partially finished lower level which can be used as an office or family room space. If you want the perfect place to entertain, look no further, the spacious main level offers gleaming hardwood flooring with a casual open concept dining area and living room. The very spacious eat-in kitchen is equipped with lots of cabinet space and a separate breakfast area with additional cabinetry. A slider door ushers you to a patio for enjoyment of the private tree lined back yard. The upper level hallway with skylight ushers you to an ample Master suite with full bathroom and walk in closet. Rounding out the second level are two additional bedrooms and full bath. A recently updated HVAC completes this package. Located in the Red Clay school district, walking distance to the Greenway walking trails, Pike Creek shopping center, Goldey Beacom College & a short drive to U of D, I-95, Christiana Hospital and fitness centers makes this home such a great choice. Just unpack and enjoy!